'If You Hemorrhage, Don't Clean Up': Advice From Mothers Who Almost Died We've heard from 3,100 women who survived life-threatening complications of pregnancy or childbirth. They told us what they wished they had known and what they would say to new and expectant mothers. Marie McCausland holds her newborn shortly after delivery. A ProPublica/NPR story about preeclampsia prompted her to seek emergency treatment when she developed symptoms days after giving birth. This story was co-published by NPR and ProPublica. Four days after Marie McCausland delivered her first child in May, she knew something was very wrong. She had intense pain in her upper chest, her blood pressure was rising, and she was so swollen that she barely recognized herself in the mirror. As she curled up in bed that evening, a scary thought flickered through her exhausted brain: "If I go to sleep right now, I don't know if I'm gonna be waking up." What she didn't have was good information about what might be wrong. The discharge materials the hospital sent home with her were vague and confusing — "really quite useless," she said. Then she remembered a ProPublica/NPR story she had read recently about a New Jersey nurse who died soon after childbirth. The nurse, Lauren Bloomstein, had developed severe preeclampsia, a dangerous type of hypertension that often happens during the second half of pregnancies — and can also emerge after the baby is delivered, when it often is overlooked, accounting for dozens of maternal deaths a year. McCausland realized that she might have preeclampsia, too. The 27-year-old molecular virologist and her husband bundled up their newborn son and raced to the nearest emergency room in Cleveland. The ER doctor told her that she was feeling normal postpartum symptoms, she said, and wanted to send her home even as her blood pressure hovered at perilous heights. Several hours passed before he consulted with an ob/gyn at another hospital and McCausland's severe preeclampsia was treated with magnesium sulfate to prevent seizures. Without Bloomstein's story as a warning, McCausland doubts she would have recognized her symptoms or persisted in the face of the ER doctor's dismissive approach. "I had just come home with the baby and really didn't want to go back to the hospital. I think I probably would have just wrote it off." In that case, she said, "I don't know if I'd be here. I really don't." McCausland's experience is far from unique. In the months since ProPublica and NPR launched our project about maternal deaths and near-deaths in the U.S., we've heard from 3,100 women who endured life-threatening pregnancy and childbirth complications, often suffering long-lasting physical and emotional effects. The Leapfrog Group provides performance data on more than 1,800 hospitals and publishes an annual Maternity Care Report. Consumer Reports offers C-section data from more than 1,300 hospitals by ZIP code. The California Maternal Quality Care Collaborative's "toolkits" of protocols to treat life-threatening obstetric complications include infographics, checklists and lengthy backup materials but require (free) registration for access. The Alliance for Innovation on Maternal Health's "bundles" offer similar information in a condensed, easily downloadable form. The Health4Mom site, from the Association of Women's Health, Obstetric and Neonatal Nurses, has a "Save Your Life" campaign, including a one-page checklist, to help new mothers recognize postpartum warning signs. The Institute for Perinatal Quality Improvement offers these resources for medical professionals. Childbirth Connection provides evidence-based information on maternity care. The Preeclampsia Foundation's "Wonder Woman" posts (here and here) put the U.S. maternal mortality numbers in context and offer more strategies for self-advocacy. Postpartum Support International offers many resources for women with pregnancy-related depression, anxiety and mood disorders. Facebook is a gathering place for thousands of women who've experienced life-threatening complications, but many groups are condition-specific and/or closed to nonsurvivors. One open group worth checking out: The Unexpected Project. Social justice groups are also becoming active around the issue of maternal deaths and near-deaths, with a focus on why African-American women are disproportionately affected. They include the Black Mamas Matter Alliance and Moms Rising. The same themes that run though McCausland's story echo many of these survivors' recollections. They frequently told us they had known little to nothing about the complications that nearly killed them. Even when the women were convinced something was terribly amiss, doctors and nurses were sometimes slow to believe them. Mothers especially lacked information about risks in the postpartum period, when medical care is often disjointed or difficult to access and the baby is the focus of attention. 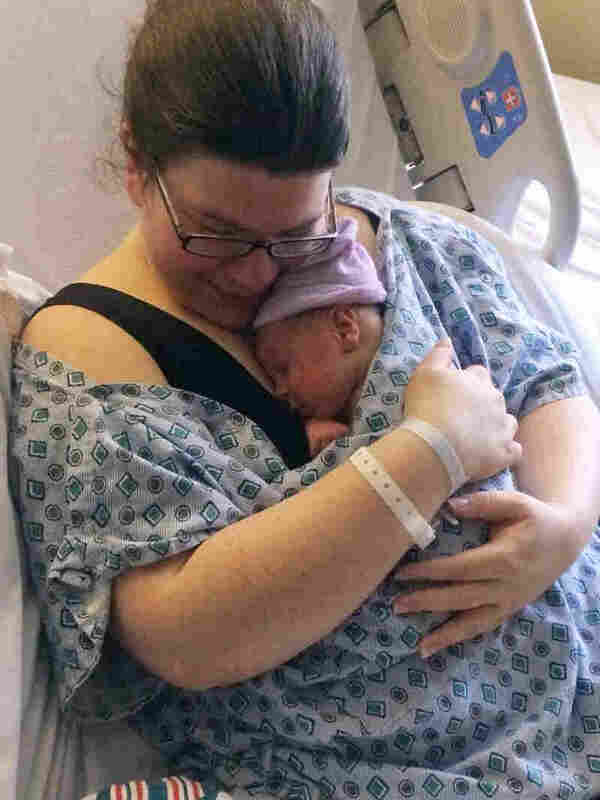 "Every single nurse, pediatrician and lactation consultant dismissed my concerns as hormones and anxiety," wrote Emily McLaughlin, who suffered a stroke and other complications after giving birth in Connecticut in 2015. Hospitals, medical organizations and maternal safety groups are introducing a host of initiatives aimed at educating expectant and new mothers and improving how providers respond to emergencies. But as McCausland's experience illustrates, self-advocacy is also critically important. We asked survivors: What can people do to ensure that what happened to Lauren Bloomstein doesn't happen to them or their loved ones? How can they help prevent situations like Marie McCausland's from spiraling out of control? What do they wish they had known ahead of their severe complications? What made a difference in their recovery? How did they get medical professionals to listen? Here is a selection of their insights, in their own words. "A lot of data on specific doctors and hospitals can be found publicly. Knowing how your physician and hospital rates as compared to others (cesarean rates, infection rates, readmission rates) can give you valuable insight into how they perform. 'Liking' your doctor as a person is nice, but not nearly as important as their and their facility's culture and track record." "Key pieces of information every woman should know before choosing a hospital are: What are their safety protocols for adverse maternal events? No one likes to think about this while pregnant, and providers will probably tell you that it's unlikely to happen. But it does happen, and it's good to know that the hospital and providers have practiced for such scenarios and have proper protocols in place." "Ask your doctors if they have ever experienced a case of an amniotic fluid embolism [an abnormal response to amniotic fluid entering the mother's bloodstream] or other severe event themselves. If a birthing center is your choice, discuss what happens in an emergency — how far away is the closest hospital with an ICU? Because a lot of hospitals don't have them. Another thing many women don't realize is that not every hospital has an obstetrician there 24/7. Ask your doctors: If they're not able to be there the whole time you're in labor, will there be another OB-GYN on-site 24 hours a day if something goes wrong?" "While my doctor was amazing, we live in a smaller town and [the hospital didn't] carry enough blood/platelets on hand for very emergent situations. They have patients shipped to larger hospitals when they need more care. Had I been aware of that, we would have decided to deliver at a larger hospital so in case something happened to me or our daughter, we wouldn't be separated — which we were when I was life-flighted out." "My best advice for getting a medical professional to listen is to keep searching for one that is willing to listen. Because of my insurance and personal circumstances at the time, I felt I had no option but to take whoever my providers [assigned] me, despite several red flags even before my delivery. I was not aware of my right to change providers until it was too late." "A conversation about possible things that could go wrong is prudent to have with your doctor or in one of these childbirth classes. I don't think that it needs to be done in a way to terrify the new parents, but as a way to provide knowledge. The pregnant woman should be taught warning signs and know when to speak up so that she can be treated as quickly and accurately as possible." "Always have somebody with you in a medical setting to ask the questions you might not think of and to advocate on your behalf if your ability to communicate is compromised by being in poor health. ... And get emotional support to steel you against the naysayers. It may feel really unnatural or difficult to push back [against doctors and nurses]. Online forums and Facebook groups can be helpful to ensure you're not losing your mind." "Know your rights. Know what kind of decisions you might have to make and what you want to do before you go. Doctors and nurses are there to make quick decisions — they're not worried about how you will feel about it afterward. They are worried about a lawsuit, whether they can get you stable quickly so they can move on. I'm not saying they are heartless — far from it, my mother is a nurse, I know what sort of heart goes into that profession. But they have a lot to do and a lot to worry about. Your feelings are not at the top of that list. At least not as far as they are concerned in the moment." "It isn't just important to know how you feel about blood transfusions and life-saving measures — you have to communicate these things to your spouse or family member. I was given six blood transfusions, but I was barely conscious when asked if I wanted them. Of course I wanted any life-saving measures, but my husband should have been consulted, given that I was not of a clear mind." "In case you ever are unable to respond, someone needs to step in and be your voice! Know as much thorough medical history as possible, and let your spouse or support person know [in depth] your history as well." "Also be sure your spouse and your other family members, like your parents or siblings, are on the same page about your care. And if you aren't married, who will be making the decisions on your behalf? You should put things in order, designate the person who will be the decisionmaker and give that person power of attorney. Other important things to have are a medical directive or a living will — be sure to bring a copy with you to the hospital. I also recommend packing a journal to record everything that happens." "Make a list of your questions and make sure you get the full answer. I went to every appointment the second time around with a notebook. I would apologize for being 'that patient,' but I had been through this before and I wasn't going to be confused again. I wanted to know everything. Honestly, it was as harmful as it was helpful — I knew what I was getting into, which made it much scarier. The first time, my ignorance was bliss. I didn't realize I almost died until two weeks after I had left the hospital. I didn't even start researching what had happen to me until months later. The second time I was an advocate for myself. Medical journals and support groups were a part of every single visit. And thankfully I was in good hands." "Write down what each specialty says to you. When I was hospitalized for six weeks prior to giving birth, I was visited two to three times a week by someone from each department that would be involved in my life-saving surgery. This means that I saw someone from the neonatal intensive care unit as well as reps from gynecologic oncology, maternal fetal medicine, interventional radiology, and anesthesiology. They paraded in on a schedule, checked up on me, asked if I had any questions. I always did, but I regret not writing down what each said each time (along with names!). I got so many different answers regarding how I would be anesthetized, and on the day it all had to happen in an emergency, there were disagreements above me in the O.R. between the specialists. It was like children arguing on a playground, and my life was in danger. Had I kept a more vigilant record of what each specialty reported to me, perhaps prior to the day I could have confronted each with the details that weren't matching up." "People should know that they have a right to ask for more time with the doctor or more followup if they feel something is not right. The OB-GYNs (at least in Pennsylvania) are so busy, and sometimes appointments are quite quick and rushed. Make the doctors slow down and take the time with you." "You have a legal right to your medical records throughout pregnancy and anytime afterwards. Get a copy of your lab results each time blood is drawn, and a copy of your prenatal and hospital reports. Ask about concerning or unclear results." "Understand the system. Ask a nurse or a trusted loved one in the 'industry' how it all works. I've found that medical professionals are more likely to listen to you if you demonstrate an understanding of their roles and the kind of questions they can/cannot answer. Know your 'silos.' Don't ask an anesthesiologist how they plan on stitching up your cervix. Specialists are often incredibly impatient. You need to get the details out of them regarding their very specific roles." "Let doctors know you care about your health and safety as much as they do. Tell them you want to be a partner in your health care. Do not act as an adversary to your doctor." "First you have to be armed with concrete knowledge with examples about your illness and have a firm attitude. This is why it is important to know your body. Do your research before your appointment, but make it personal. Do not present your case as if you just went on WebMD for the information. Create a log of your health activities. This log should contain all illnesses you are concerned about, when they occurred and how did you feel. Have your questions and concerns written down. You should always carry a list of your medications, dosage and milligrams. Include any side effects. Ask concrete questions and have the doctors present their findings to you in a language you can understand. If you do not agree [with what one doctor tells you], ask another doctor. Remember, knowledge is power and you must have that power." "If your provider tells you, 'you are pregnant, what you're experiencing is normal,' remember — that may be true. [But it's also true] that preeclampsia can mimic many normal symptoms of pregnancy. Ask 'what else could this be?' Expect a thoughtful answer that includes consideration of 'differential diagnoses' — in other words, other conditions that could be causing the same symptoms." "Crying! I'm only slightly kidding. I truly think the only way to get them to listen is to be adamant and don't back down. I had a situation where I felt no one was paying attention to me, and I cried out of frustration over the phone. Then they listened to me and snapped into action." "So many women do speak up about the strange pain they have, and a nurse may brush it off as normal without consulting a doctor and running any tests. Be annoying if you must — this is your life. ... Thankfully, I never had to be so assertive. I owe my life to the team of doctors and nurses who acted swiftly and accurately, and I am eternally grateful." "If you have a hemorrhage, don't clean up after yourself! Make sure the doctor is fully aware of how much blood you are losing. I had a very nice nurse who was helping to keep me clean and helping to change my (rapidly filling) pads. If the doctor had seen the pools of blood himself, rather than just being told about them, he might not have been so quick to dismiss me." "I had heard of preeclampsia but I was naïve — [I believed] that it was something women developed who didn't watch what they ate and didn't focus on good health prior and/or during pregnancy. I was in great health and shape prior to getting pregnant, during my pregnancy, I continued to make good food choices and worked out up until 36 hours before the baby had to be taken. I gained healthy weight and kept my BMI at an optimum number. I thought due to my good health, I was not susceptible to anything and my labor would be easy. So although I had felt bad for 1 1/2 weeks, I chalked it up to the fact that I was almost 8 months into this pregnancy, so you're not supposed to feel great. ... I walked into my doctor's office that Friday and not one hour later, I was in an emergency C-section delivering a baby. I had to fully be put under, due to the severity of the HELLP, so I didn't wake up until the next day." "Understand that severe, sustained pain is not normal. So many people told me that the final trimester of pregnancy is sooo uncomfortable. It was my first pregnancy, I have a generally high threshold for pain, and my son was breech so I thought his head was causing bad pain under my ribs [when it was really epigastric pain from the HELLP syndrome]. I kept thinking it was normal to be in pain, and I let it go until it was almost too late." "I wish I would have known what high blood pressure numbers were. I had a pharmacist take my blood pressure at a pharmacy and let me walk out the door with a blood pressure of 210/102. She acted like it was no big deal ('it's a little high'), and so I believed her. Even after telling my husband, we really thought nothing of it." "Know the way your blood pressure should be taken. And ask for the results. Politely challenge the technician or nurse if it's not being done correctly or if they suggest 'changing positions to get a lower reading.' Very high blood pressure (anything over 160/110) is a 'hypertensive crisis' and requires immediate intervention." "Please ask for a heart monitor for yourself while in labor, not just for the baby. I think if I had one on, seconds or minutes could have been erased from reaction time by the nurses. They were alerted to an issue because the baby's heart stopped during labor, and while the nurse was checking that machine, my husband noticed I was also non-responsive. That's when everything happened (cardiac arrest due to AFE)." "My swelling in my hands and feet never went away. My uterus hadn't shrunk. I wasn't bleeding that bad, but there was a strange odor to it. My breasts were swollen and my milk wasn't coming in. I was misdiagnosed with mastitis [a painful inflammation of the breast tissue that sometimes occurs when milk ducts become plugged and engorged]. The real problem was that I still had pieces of placenta inside my uterus. Know that your placenta should not come out in multiple pieces. It should come out in one piece. If it is broken apart, demand an ultrasound to ensure the doctors got it all. If you have flu-like symptoms, demand to be seen by a doctor. If you don't like your doctor, demand another one." "There is a period in the days and weeks after delivery where your blood pressure can escalate and you can have a seizure, stroke or heart attack, even well after a healthy birth. You should take your own blood pressure at home if your doctor doesn't tell you to. ... Unfortunately, I went home from [all my postpartum] appointments with my blood pressure so high that I started having a brain hemorrhage. Not one single person ever thought of taking my blood pressure when I was complaining about my discomfort and showing telltale warning signs of [preeclampsia]." "The ER doctor that I had was not treating me as a postpartum case. He was just thinking of me as a 27-year-old with high blood pressure. I think, if you have the opportunity, the ideal thing would be to go back to the same hospital where you had your baby, because they have a labor and delivery unit and they have your records. But if the closest emergency room isn't at the hospital where you delivered, then you have to be more vigilant. Make sure they know you just gave birth. If you know something is wrong with you, don't take no for an answer. Just keep saying, 'I think this is something serious' and don't let them discharge you, especially if it's someone who isn't familiar with pregnant women." "The postpartum period is when a lot of pregnancy-related heart problems like cardiomyopathy emerge. If there is still difficulty breathing, fluid buildup in ankles, shortness of breath and you are unable to lie flat on your back, go see a cardiologist ASAP. If you have to go to an emergency room, request to have the following tests performed: echocardiogram (echo) test, ejection fraction test, B-type natriuretic peptides (BNP), EKG test and chest X-ray test. These tests will determine if your heart is failing and will save your life." "Rest as much as possible — for as long as possible. Being in too big a rush to get 'back to normal' can exacerbate postpartum health risks. Things that are not normal: heavy bleeding longer than 6 weeks or bleeding that stops and starts again, not producing milk, fevers, severe pain (especially around incision sites), excessive fatigue, and anxiety/depression. If you don't feel like yourself, get help." "Know that your preexisting health conditions may be impacted by having a baby (hormone changes, sleep deprivation, stress). Record your health and your baby's in a journal or app to track any changes. Reach out to the nurse or doctor when there are noticeable changes that you have tracked." "If your hospital discharges you on tons of Motrin or painkillers, be aware that this can mask the warning signs of headache, which is sometimes the only warning sign of preeclampsia coming on postpartum." "I wish I had known that postpartum PTSD was possible. Most people associate PTSD with the effects of war, but I was diagnosed with PTSD after my traumatic birth and near-death experience. Almost 6 years later, I still experience symptoms sporadically." "I recommend therapy with a female therapist specializing in trauma. Honestly, I avoided it for 8 months. I was then in therapy for 12 months. I still have ongoing anxiety ... but I would be in a very bad place (potentially depression and self-harm due to self-blame) were it not for therapy. It was so hard to admit [what was happening]. I started to get a suspicion when I heard an NPR story about a veteran with PTSD. I thought ... that sounds like me. And I started Googling." "The emotional constructs our society puts around pregnancy and childbirth make the ideas of severe injury and death taboo. Childbirth is a messy, traumatic experience. ... Many women don't seek care even when they instinctively believe something is wrong because they're supposed to 'be happy.' Awareness and transparency are so important." "Having an incredible support network made the greatest impact with my near-death experience, but my family and friends needed their own support as they coped. My mom didn't leave my side, but she also had a team of friends supporting her so that she could let her guard down and cry when she needed to do so. My husband was at my bedside or with the baby constantly that first week, but he was also suffering from the trauma of everything and was having a really hard time coping and needed to leave the hospital environment. My best friend is an ICU nurse and quickly became the person everyone asked clarifying questions, but she didn't want to be a nurse in that moment but rather someone who was scared for her friend." "I wish I had understood how significant the impact was on my husband. Emotionally, the experience was much more difficult and long-lasting for him than for me, and it continued to affect his relationship with both me and our baby for quite a while, at a time when I didn't think it was a thing at all." "I would suggest establishing yourself ahead of time with a doula or midwife that can make postpartum visits to your home, which can promote health even if everything goes smoothly. Many communities have those services available if you can't afford them. [A doula] wasn't covered through our insurance, but the social worker at the hospital arranged for someone paid for by [San Diego County] to come and do several checks on me and my son, which was very reassuring to both my husband and me." "If you're given a diagnosis of a life-threatening pregnancy complication, line up a therapist immediately so can start getting the support you need as soon as you give birth. Don't wait until your six-week [postpartum] appointment when they do a depression screen and you realize you're not coping well. You'll have to wait at least another week for the appointment to be made. Why not have that in place? I wish I did." "Don't assume everyone gets it. Don't assume everyone wants to hear it. My story is scary. Some soon-to-be moms have looked horrified by my story. Some already moms have been scared away by it. Most people are happy to listen, like to be informed, but some do not. Some people are happier thinking, 'It's all going to be OK, not me, I'll be fine.' They should at least know, but that's their choice. You can't force people to open their eyes. Be there. Offer help. But don't force it." In previous versions of this story, a quote was incorrectly attributed to Kristy Kummer-Pred. It has been deleted.